What's on the flip side of risk? Communicating risk in finance can be difficult with investors. 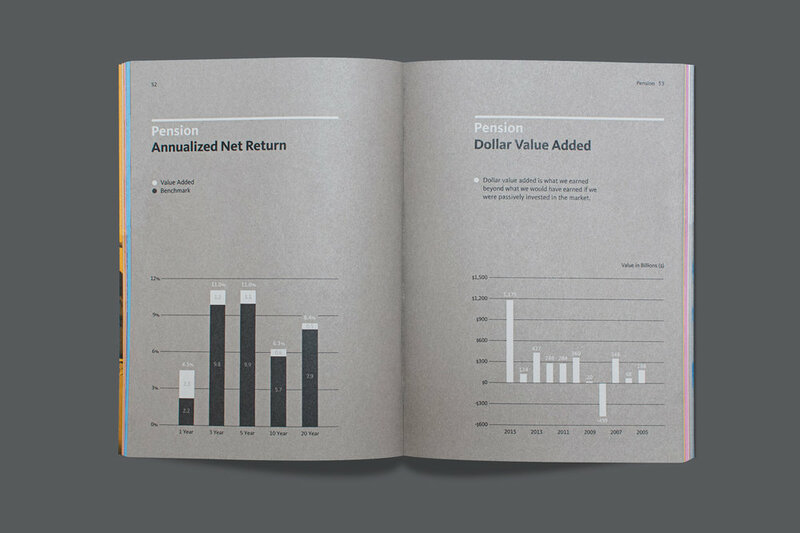 So for this year's annual report we created a visual metaphor to help the University communicate that risk and opportunity are two sides of the same coin. 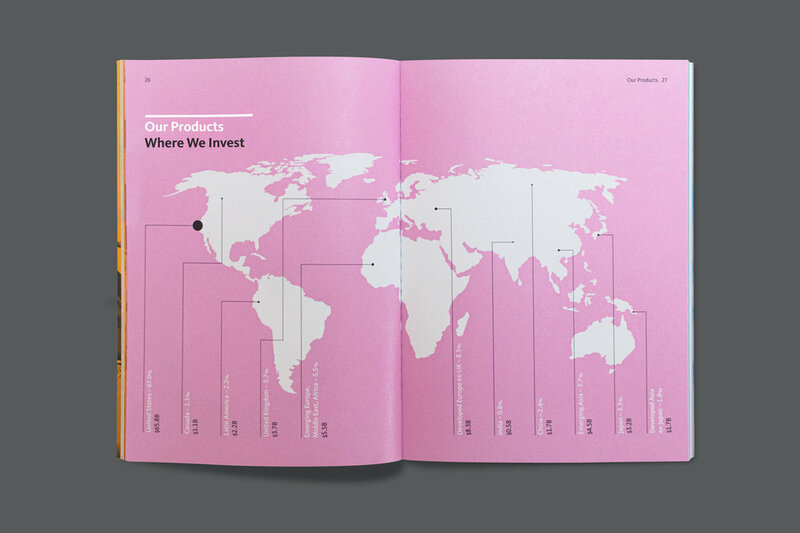 Sections were color-coded to organize and simplify the UC's diverse portfolio.